Four of HPP’s Environmental team, Kari Marttinen, Tarja Pirinen, Minna Juhola ja Outi Iso-Markku have co-authored the Finland Chapter of the recently published Chambers Environmental Law Guide 2019. 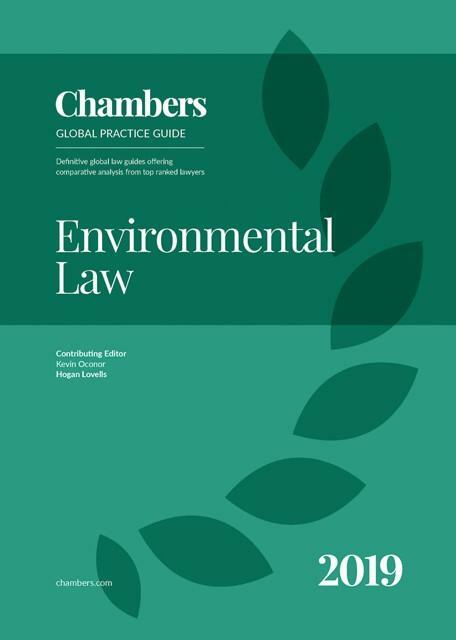 The guide covers the latest regulation of different aspects in the field of environmental law and will be useful read for environmental industry professionals and lawyers from other jurisdictions assisting clients contemplating undertaking projects related to environment in Finland. HPP’s Environmental team is the leading environmental team in the Finnish legal market, as reflected by its ranking as a Band 1 Natural Resources firm in each year in which leading global law firm directory, Chambers, has issued rankings for the ‘Energy & Natural Resources’ category. HPP has one of the largest dedicated environmental teams in Finland which specialises in all aspects of the environmental sector.